Canopies are the latest development in creating stylish homes in Reading, Henley-On-Thames and Wokingham. At Abbey Conservatories, we offer a range of canopy options for your home improvements. These stunning additions to your property will give you a sheltered space which looks beautiful and adds to the character of your property. They come in a range of designs, enabling you to complement the look of your home. Canopies are slightly different to verandas as instead of extending directly from your property in a straight line, they come in a curved option or a slanted option. This creates a beautiful arched roof or practical slanted roof which adds to the elegance of your home. No matter the style of your property, we’ll have a design to suit you perfectly. These stunning designs are available in a wide range of options, giving you plenty of opportunity to reflect your personality and individuality in your home improvements. Our impressive canopies in Reading, Henley-On-Thames and Wokingham are a great addition to any home, offering exquisite style and luxury design. 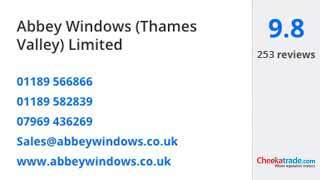 At Abbey Windows, we are experts in home improvements and our outstanding installations throughout Reading, Henley-On-Thames and Wokingham are renowned for their quality and performance. Our canopies are no different, enabling you to enjoy a structure crafted to the very highest standards. Our highly trained and talented team will survey your home, assessing the space you have available and advising you on the best options to complement your property. When we install your new canopy, we will work with customer service at the heart of our work, making sure your installation runs smoothly and meets the most stringent health and safety standards. Our canopies are the ideal choice for creating a durable shelter in your garden. Whether you are looking for a stylish canopy over your patio, enabling you to enjoy warm weather from the shade, a rain barrier to protect your plants as they grow, or even a luxury car port which offers character and charm, our canopies are ideal. They are durable, and will give you many years of performance. Each canopy is crafted from quality materials by industry leading manufacturers, and they are exceptionally hard wearing. Designed with the British weather in mind, these canopies can withstand almost any winter storm to ensure your peace of mind. 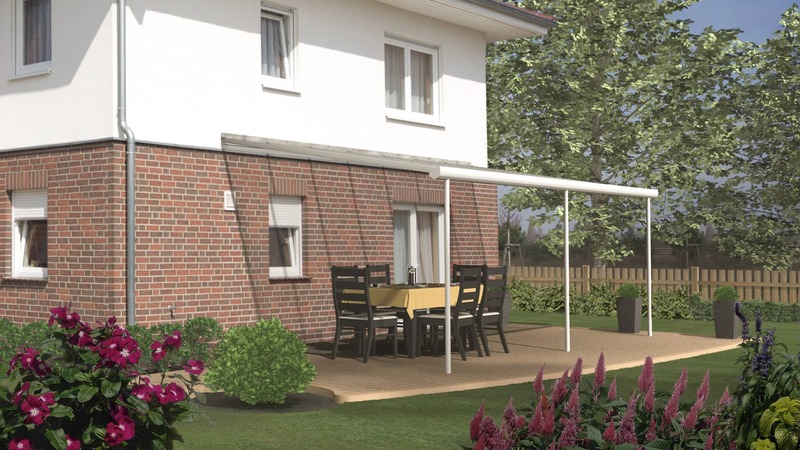 Our canopies are specifically designed to offer a practical addition to your home. They give you the opportunity to enjoy the outdoors, whatever the weather. If you don’t have the space for a conservatory or orangery, yet you want an area in which you can relax out of the sun’s UV rays and the regular showers, then a canopy is an ideal alternative. They are installed efficiently, giving you your new space in no time at all, and they feature integral gutter systems to ensure rain water is dealt with so you stay dry underneath. Canopies are a great option for creating a car port alongside your home in Reading, Henley-On-Thames and Wokingham. These structures lean up against your home, and so, they take up less space than a garage. They can offer a great shelter for your car, or a weatherproof storage area. Canopies are the ideal option for car ports in homes throughout Reading, Henley-On-Thames and Wokingham. Garage installations are costly and you might find that the space you have is big enough for your car, but once the garage is constructed, it’s a tight squeeze to fit your vehicle inside. As such, a canopy is a fantastic alternative, allowing you to make the most of the space you have available turning it into a practical and functional area. Canopy prices offer fantastic value for money for your Reading, Henley-On-Thames and Wokingham home improvements. They are cost effective, efficient to install and simple to maintain, making them a popular choice for many homeowners. If you are interested in getting a no obligation quote for our canopies, please do get in touch. Our friendly team are on hand to help you with all your enquiries and they can give you a personalised guide price based on your specifications.